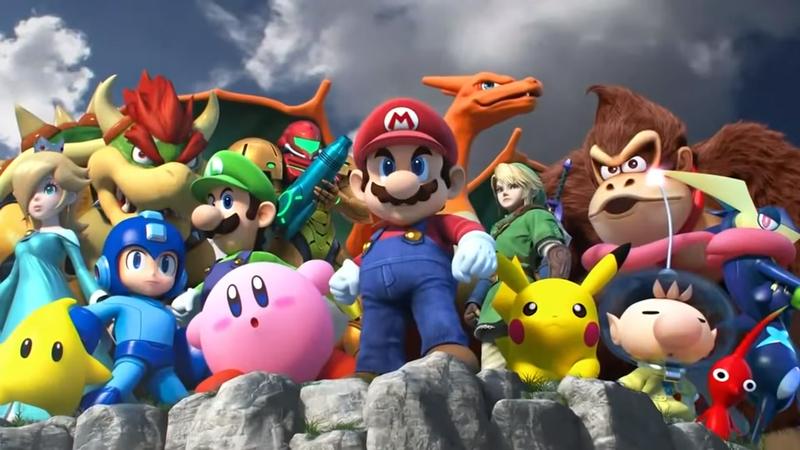 The last few years have been pivotal in establishing Super Smash Bros. For Wii U as its own game, separate from its everlasting older sibling Melee. The Smash 4 scene has grown, developed major personalities and storylines, and saw its Evo grand finals live on cable television. Now all eyes are on Nintendo for what’s next. Smash 4 is the modern scene and the most recent title in the series. While each entry manages to garner its own following and hold onto a select few impassioned players, most of Smash is divided between the current entry and the GameCube artifact Super Smash Bros. Melee, which people are still somehow playing 17 years after its release. It’s been hard for Smash 4 tournaments to get out from under the shadow, but the last year has been promising for a few reasons. The Panda Global rankings, or PGR, has been running most of Smash 4’s lifetime; it is a widely accepted, peer-administered metric for success. It’s like the coaches’ polls in college football, but more generally respected by the community. In January 2017, Panda Global introduced the tiered tournament system, where events would be given a certain classification based on entrant numbers, amount of high-tier attendees, and prize pool. A month earlier, tournament organizer 2GGaming—or 2GG—revealed the 2017 2GG Championship Series circuit, a series of S-tier events throughout the year that would eventually lead up to a championship at the end of 2016. These two factors gave Smash 4 a form and structure it needed. As Smash commentator D’Ron “xD1x” Maingrette put it, many team owners were reticent to get involved in Smash because they felt there wasn’t enough structure. Of course, part of that elevation is also due to the players themselves. For a long time, Gonzalo “ZeRo” Barrios was considered almost untouchable, with players tallying up won sets against him as trophies. But this year saw Barrios fall twice in momentous grand finals: once at Evo, against Saleem “Salem” Akiel Young, and again at the 2GG Championships, against Leonardo “MkLeo” Lopez Perez. Both were dramatic finals, and both showcased the extent to which the game can go—for players, and for spectators. 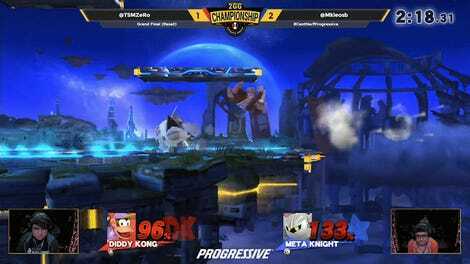 Now Smash 4 sits on a precipice. The legend ZeRo is on an indefinite hiatus, citing his need to step back from the stress of constant competition. No new 2GG circuit has been announced yet. And with Nintendo having incredibly successful console launch in the Switch, many are wondering if or when the announcement of a Smash for Switch will come. But where Smash 4 stands apart from its siblings in some ways, Maingrette had an interesting take on a potential return for older Smash scenes that are forced to use older hardware and hard copies—or less legal means—to compete in their games of choice. There are many more dreams for a new Smash iteration. Maingrette wants to see Geno in the roster; Visu wants an option to play stages without hazards and to play as Crystal from Star Fox; Lopez Perez is just excited for the idea of a new game. But Nintendo has been coy. The Nintendo Versus account has boosted the social outreach of many Smash tournaments, and the company even supports Smash events, like this weekend’s Genesis 5. It isn’t hard to see why Smash 4 players would want a new game. Played on the Wii U—a console that might have sold as many units in five years as the Switch will in its first year— Smash 4 isn’t something anyone can pick up right after seeing a cool clip or tournament. Games like Tekken 7 breathed new life and players into their scenes—why not the same for Smash? Maingrette compared the potential impact of a new Smash to the effect Street Fighter V had on that scene. A new game would also be a new opportunity for new esports teams and sponsors to enter. 2017 saw a wave of high-profile signings, but several top players like Brian “Cosmos” Kalu and Samuel “Dabuz” Buzby are still free agents. New interest in the scene could be a chance for these players to don jerseys and start travelling to more events. Smash 4 has grown a ton over the last four years, eclipsing the former Brawl scene and even standing toe-to-toe with Melee. It has its own events and is no longer seen as the “other” Smash. Whether via a “deluxe” version or an entirely new entry, the stage seems set for the modern Smash players to have a breakout year, and convert even more people into spectators and fans.